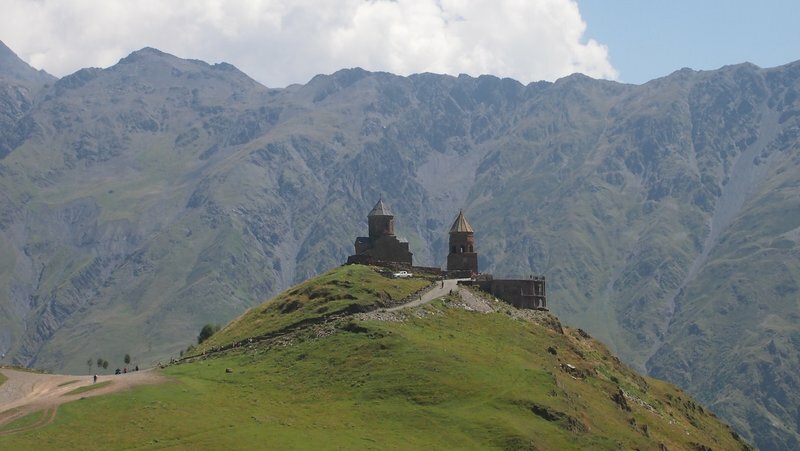 Only showing entries about gergeti trinity church from Roaming the world. View entries about gergeti trinity church from all Travellerspoint blogs. Marshrutka from Didube bus station takes about 3 hours up the windy mountain roads and costs 10 GEL, you pay to the driver and they leave when full. 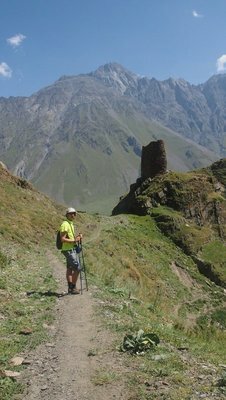 If you are planning to climb Kazbegi (5033m) you will need a guide or at least someone with solid mountaineering skills. Mostly because you will have to cross Gergeti Glacier at 3000m. 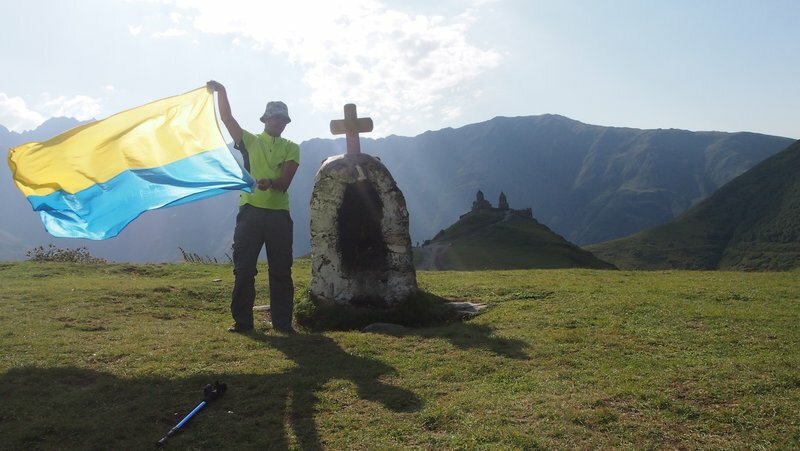 We had a much less ambitious plan, just to reach the Holy Trinity Church and get to a view point of the glacier. As soon as we got out of marshrutka we were surrounded by old women offering a room. We picked one and got a room and food for 70 GEL. 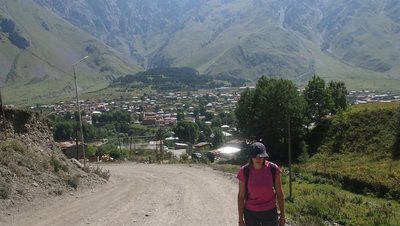 You can get a jeep up to the church, or hike up to Gergeti and take a trail bending the hill on the left side. It takes about 1,5-2 hours to reach the Church, there are only couple of spots where you can refill your water bottle. Once you get to the top this when you get to enjoy the view. The church is very pretty and it gets rather busy with both tourists and pilgrims. After a quick photo session we decided not to waste any time and push on to the view point. The trails is not too steep and easy to follow, it only took us another 2 hours to get there and see this thing of beauty. 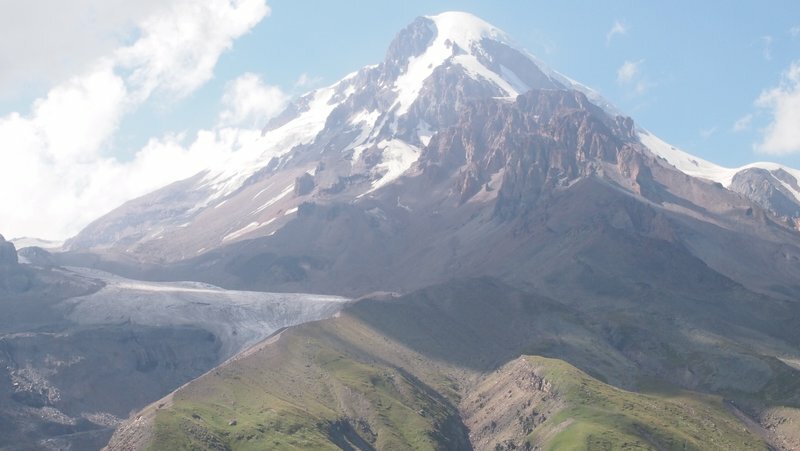 Mighty Kazbegi towering over the glacier. We could see some tents camping just below the glacier, we were told that this was the only place you could refill your water after the Church.